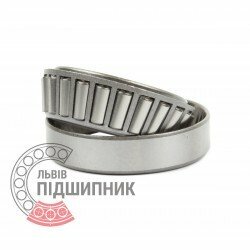 Bearing 6-2007109А GPZ, Russian Federation. Type - tapered roller. Single row. Separable. Metric dimensions (dxDxT): 45x75x20 mm. Corresponds to the soviet and CIS bearing designation 2007109 GOST 27365-87. Bearing 32009 CPR, China. Type - tapered roller. Single row. Separeble. Metric dimensions (dxDxT): 45x75x20 mm. Corresponds to the bearing 2007109 GOST 27365-87. Bearing 32009 AX CX, Poland. Type - tapered roller. Single row. Separeble. Metric dimensions (dxDxT): 45x75x20 mm. 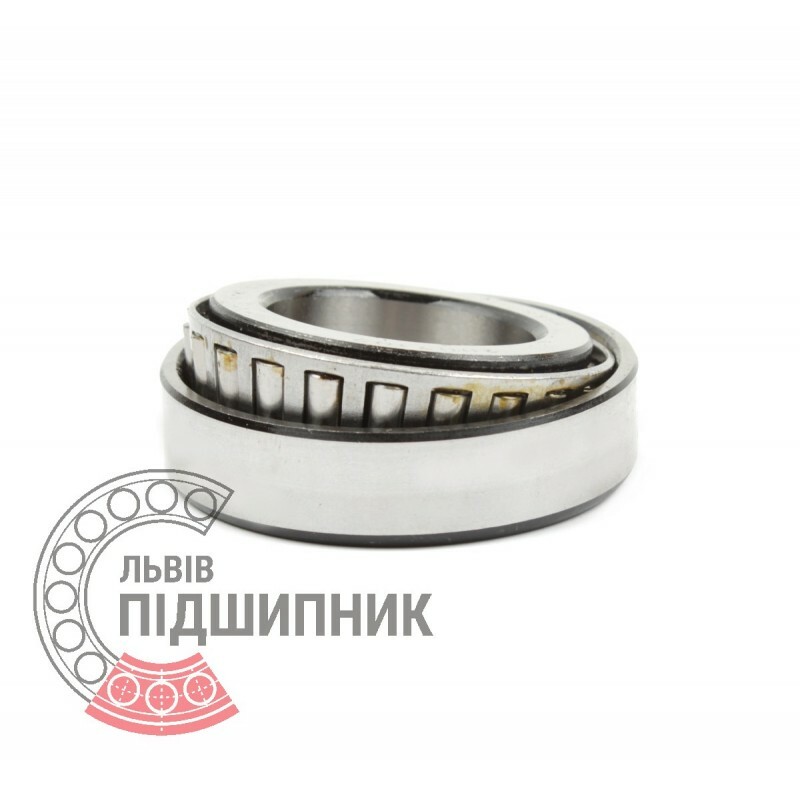 Corresponds to the bearing 2007109 GOST 27365-87. 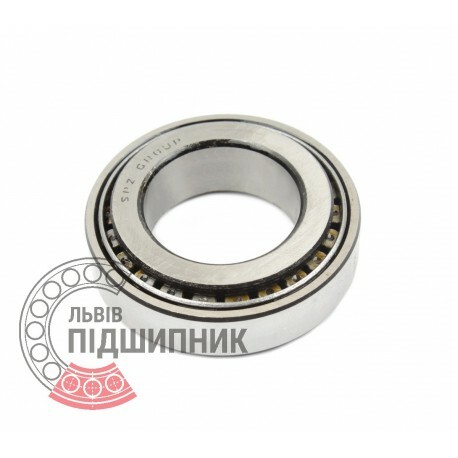 Net product price: 128,37 грн. 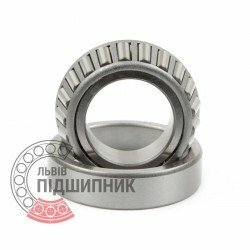 Gross product price: 154,04 грн. Bearing 32009 AX ZVL, Slovakia. Type - tapered roller. Single row. Separeble. Metric dimensions (dxDxT): 45x75x20 mm. Corresponds to the bearing 2007109 GOST 27365-87. 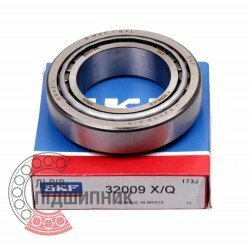 Bearing 32009 X SKF, . Type - tapered roller. Single row. Separeble. Metric dimensions (dxDxT): 45x75x20 mm. 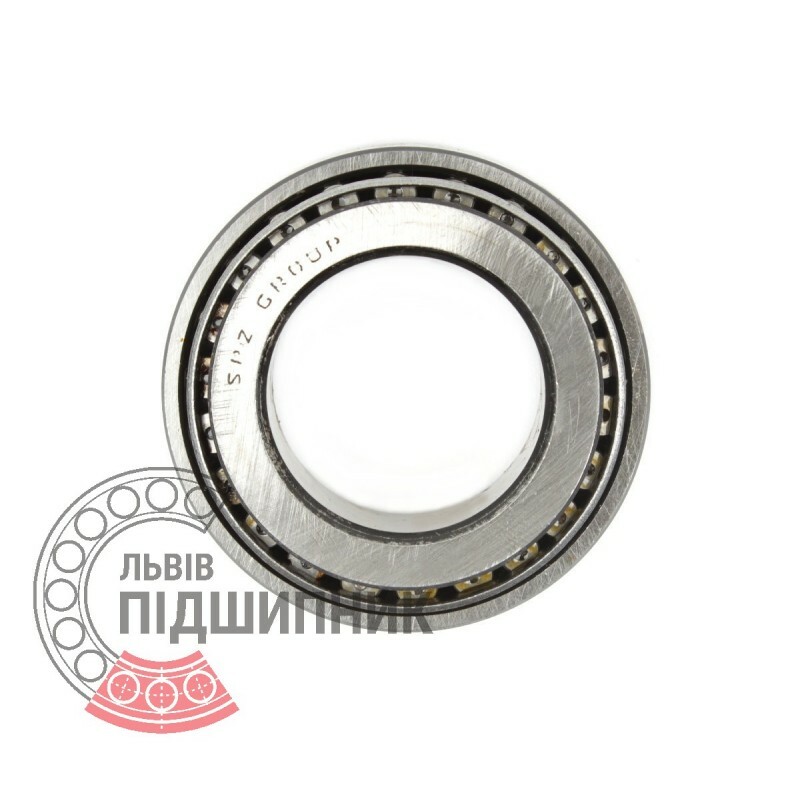 Corresponds to the bearing 2007109 GOST 27365-87. Net product price: 419,10 грн. Gross product price: 502,92 грн.